JD Burrows has been a member of HSC since 2008, and has served as a volunteer on several committees. Serving on the Membership Committee from 2010 to 2012, he had the pleasure of working the Convention floor and signing up new members. Having learned so much about the Club while signing up new members, he decided to take on a more prominent role in 2013. He currently serves as Director, Grants Committee Chairman, and was Silent Auction Chairman for 2014. 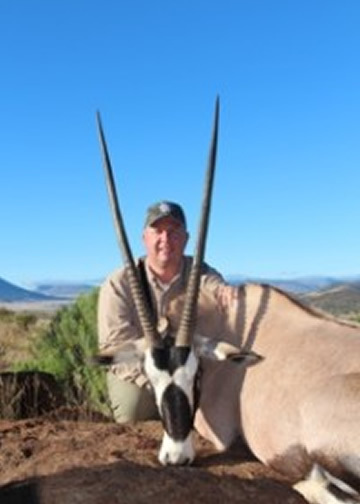 He and his wife Angie are also Hunting Awards Sponsors and Gazelles sponsors. In professional capacity, JD serves as the Vice President of Marketing for ENGIE, a leading global energy company, and is responsible for branding, public relations, market analytics and pricing strategies. He is married to Angie, and has three children Dalton, Trevor and Charlotte. Interestingly, JD was born and grew up in Zimbabwe. Until the age of 13, he lived with his family on a small farm outside of Harare; this is where he gained his love for the outdoors. At every instant he tries to pass this love onto others by being involved in several conservation and education based organizations such as the Boy Scouts of America, Woods and Water Kids, Ducks Unlimited, Safari Club International and Legacy Foundation.